The breakfast is yet to come. I was really, really trying to get a blog up this morning but my computer that I have a huge Mac crush on is not cooperating. My mouse keeps freezing. I realized I’ve been not so regular on the posting. Blame it on the day job- we just finished final exams and in the state requirement of keeping my certification I’m also engulfed in a grad class. Go Spartans! So in the spirit of blogging I will give you (yes, all 23 of you;) a preview picture. Perhaps I will get more cybercontrol later? 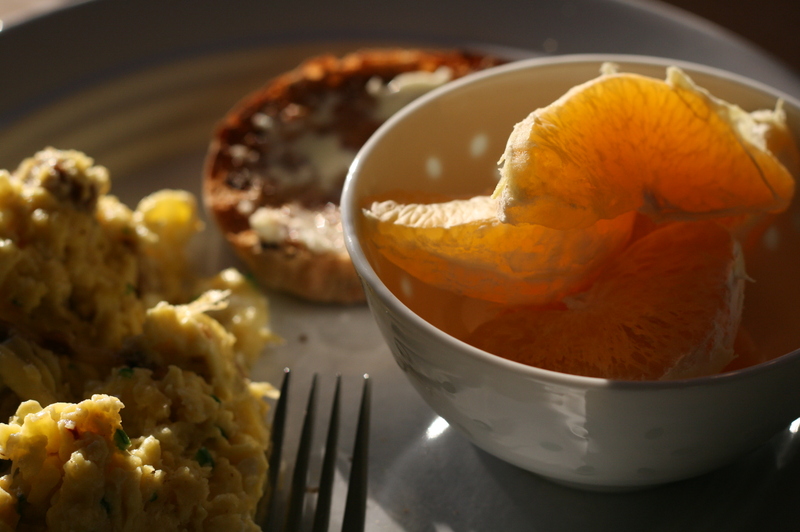 Til then…some oranges. Orange you glad, echkh can’t do it.